Spring has officially begun here in the Pacific Northwest and to celebrate, I stitched this little woven basket with flowers! To start, I drew a small basket outline. My basket is a simple rectangle but your basket can be any size or shape. First the vertical stitches (warp threads). Then start weaving the horizontal stitches (weft threads). All finished weaving the bottom portion of the basket. 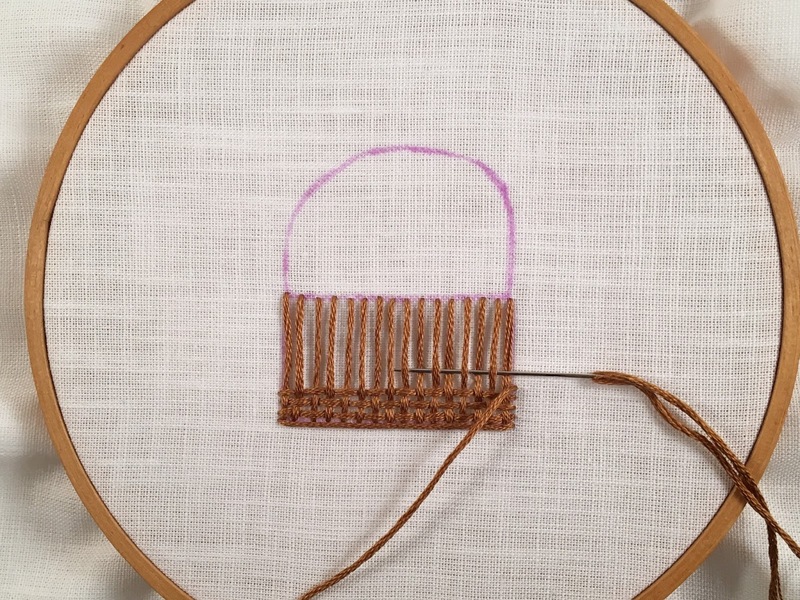 I stitched the handle of the basket with chain stitch. My flowers are simple lazy daisies and the leaves are detached chain stitches. The flowers can be any stitch you like. I hope you stitch your own basket with flowers! If you do, leave a comment, post your photos in the Flickr group or tag your photo on Instagram with #feelingstitchyig! 10 Years in the Flickr Embroidery Group Giveaway!